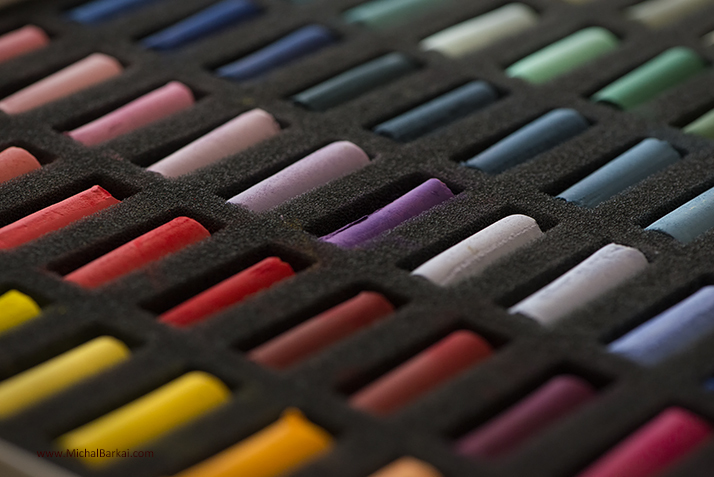 Happy to share that I will be teaching a pastel class in Montclair, NJ this winter. All levels, Adult School. I'm honored to be elected and serve as the President of the Pastel Society of New Jersey (PSNJ) for a third term. courtesy of American Art Collector Magazine. An art lovers guide to collecting fine art in Washington D.C. and the mid-Atlantic states, p 90. 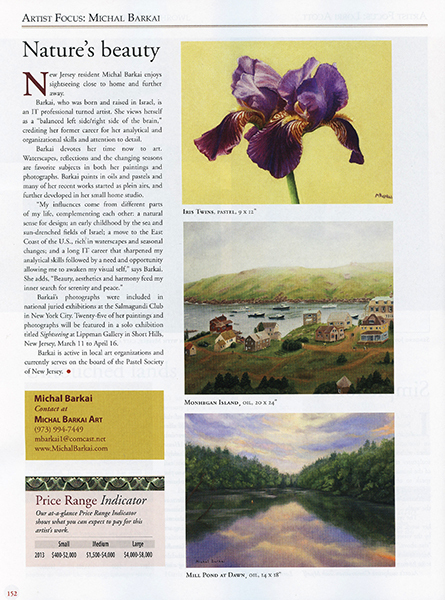 I'm honored to be featered in the American Art Collector magazine editorial "Artist Focus" - April issue, p152. Also see my full page ad on page 40. My portfolio of 13 paintings and photographs, titled "Seasons", is one of four portfolios featured in the July 2011 issue. October 2014 - Honored to be elected President of the Pastel Society of New Jersey. Article by Linda Klonsky, Livingston Patch. "For landscape artist Michal Barkai, “nice days are a precious gift.” They're gifts she doesn't take for granted "
June 4, 2010 - Visions @ Livingston Gallery - a group show. "Gorgeous Representational Renderings of Nature and More By Michal Barkai"